American automaker, General Motors is going to launch the much awaited SUV, Chevrolet Trailblazer on October 21, matching the festive season in India. The launch of Chevrolet Trailblazer is going to be a good thing for General Motors as it marks the rejuvenation of the company’s India operations following a not-so-impressive sales record in the past. While the market is crowded with compact SUVs, the new Trailblazer distinguishes itself by bringing a larger SUV to the market joining the Toyota Fortuner, Innova class of cars. 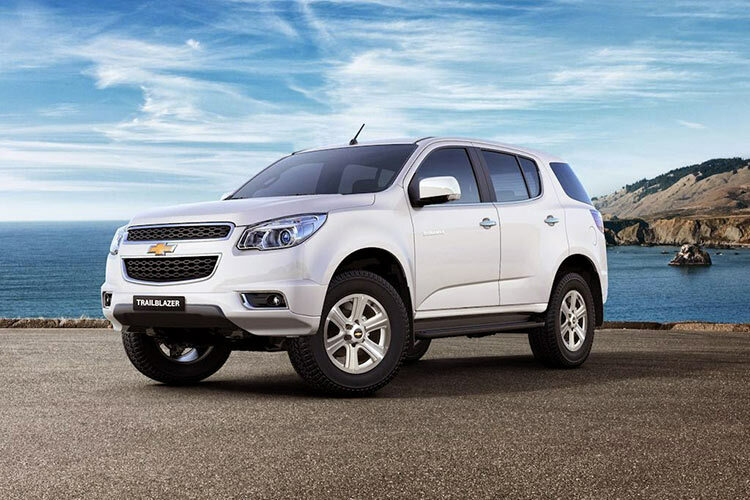 Talking about the Chevrolet Trailblazer, it is a large sized SUV that carries the true essence of General Motors. Talking about the dimensions, the car measures 4,878mm and 1,838mm in length and breadth respectively. The all new Trailblazer has been powered by 2.8-litre engine which comes with a six-speed automatic transmission option. The 2.8-litre engine churns out a whooping 198bhp of power at 3600 rpm and 500Nm of torque @ 2000rpm. Currently, the SUV is made available only in a 4×2 trim. Trailblazer features include 7-inch touchscreen multimedia system with Bluetooth connectivity, rear-view camera and well-made leather seats. The SUV also gets projector headlamps, cruise control, powered ORVMs as well as electric adjust for the driver’s seat. The Cabin of the car comes with dual-tone black as well as beige colour. Chevrolet Trailblazer Price is expected to be above of INR 25 lakhs and is made available only via the CBU route. The car potentially takes on the likings of Toyota Fortuner, Mitsubishi Pajero Sport and the upcoming Ford Endeavour.